Will hats be seen in the list of participants in chat? I do see hats being added to the message composition bar and to each of my messages, but I don't see them appearing in the list of participants for a channel. Is this a bug or a feature request? Or does it take too many resources or time to generate so many hats (e.g. when looking at a list of participants under "all rooms")? Not the answer you're looking for? 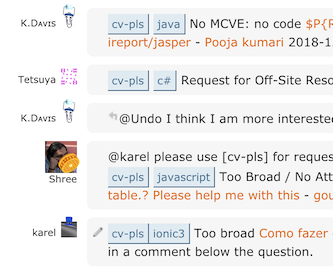 Browse other questions tagged feature-request chat winter-bash . How are hats added to the profile pictures? Will the winter bash hats be available for download after January? Are hats permanent in the profile? What is the difference between secret hats and normal hats?